Now that she’s released her chart-topping album Love and War, Tamar Braxton jetted overseas to perform before a sold-out crowd in Paris. The singer received an outpouring of support following the concert, which prompted her to post a picture on Instagram with a caption that reads, “I had a BALL! 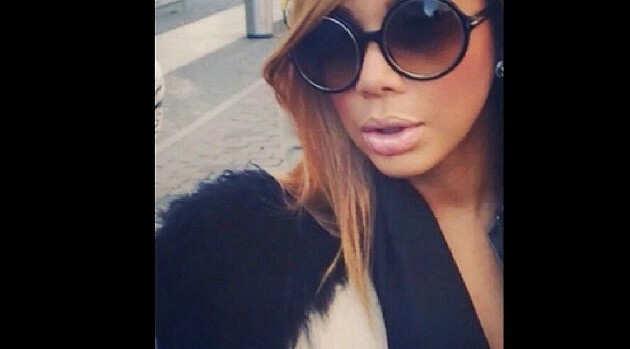 #cantwait2comeback.” Tamar later encouraged her fans to pursue their passions in life. “I honestly want you all 2 know I’m NO different from you. We all dream & have goals & I want you to know u CAN DO IT! No matter what #getit,” she wrote. Her U.S. fans will soon get to see Tamar in action when she embarks on John Legend‘s Made to Love tour, beginning October 20.